NEWS! 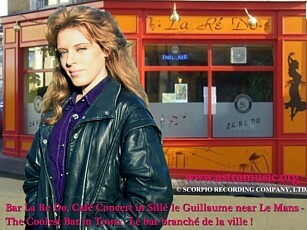 Two Interviews with Astra on Radio Fréquence Sillé! Hear Astra speaking French! Click here! 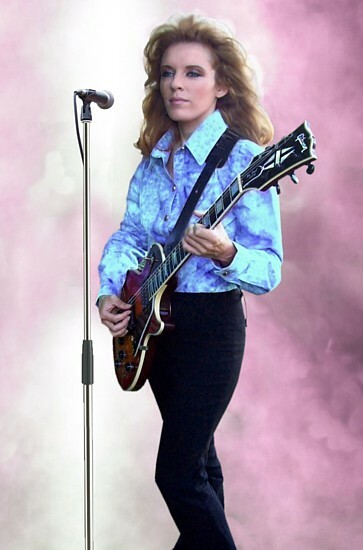 Lead guitarist Astra sings and plays all the instruments you hear: lead and backing vocals, lead, rhythm and bass guitars, percussion and keyboards; catchy rock & pop, ballads and mood music. "ASTRA's albums are a pure marvel - I really love this music. 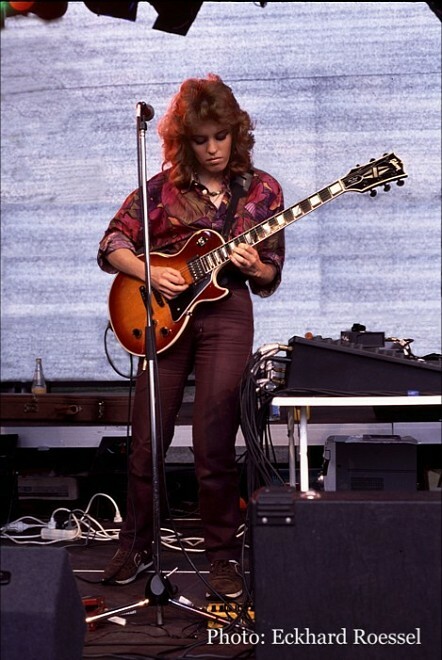 The guitar work is sheer musical audacity - how does she do it!" Yves Frayssinet, Bandleader & Guitarist, Hors Série Rock Show Band & the Frayssinet Jazz Combo. BUY MP3S - CLICK BUTTON BELOW! "There's a Jam Goin' Down..."
Other players and clips - scroll the players below to the right for all functions. "I enjoyed all of your music. Love the guitar work. You got that ax mastered, sister! You bring that voice to some place like where we live - Fort Worth, Texas, official nickname "Cowtown" - and you can step up onto any stage in any cowboy dance hall in the state and become an instant hit." To quote from Astra's song, Funky Tink Tank, which some say is about the legendary Jamaican guru on Jungo Mountain... "John Gomerry say 'whadya know'." 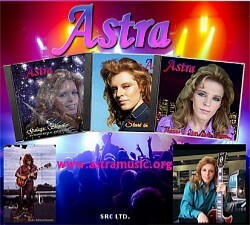 Astra was born in Brighton, on the south coast of England, into a pro music family. Always on the move with their gigs, she lived first in the South of England, then the East, and then Wales, in Tyn Llechwedd, which means "The Little House on the Hill" - check out the ballad of that name. There, as a kid living within sight of Mount Snowden, land of kites, eagles and beautiful valleys, Astra got her first Gibson guitar and wrote her first songs. 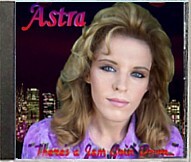 Currently based in France near Le Mans (famed for the 24-hour car endurance race), Astra records the songs and instrumentals she has composed, with the song lyrics mostly written by the album's co-producer Kenn d'Oudney. 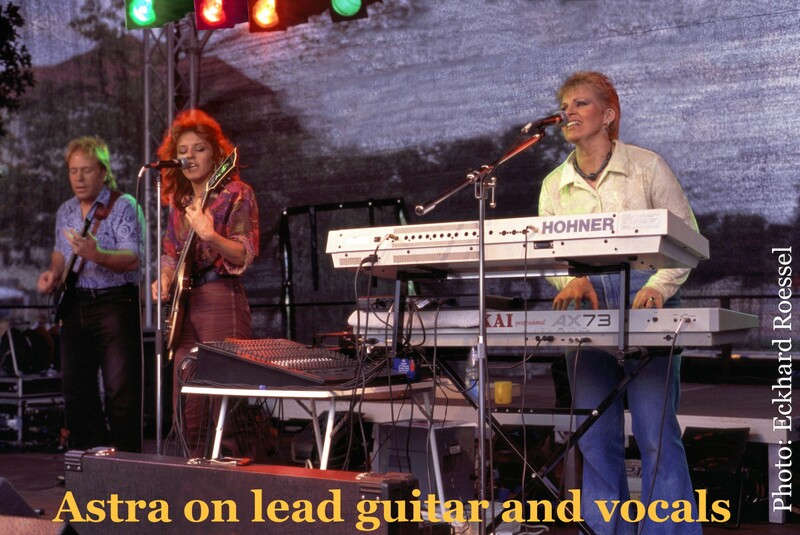 lead guitar, riff and rhythm electric and acoustic six and twelve-string guitars, bass, keyboards, organ, synth, and percussion. 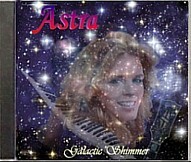 She gives you the whole group and orchestra - in this music, Astra is the group ! Like me, you will find it's utterly inspiring ! 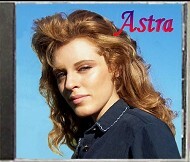 In listening to Astra's music, you are taken through many moods, to different places in your imagination, and always with an accompanying emotion: tenderness, humour, alarm, anger, shock, laughter, love and tears - it's all there! You are drawn in to share her world with her. Astra is a virtuoso guitarist. 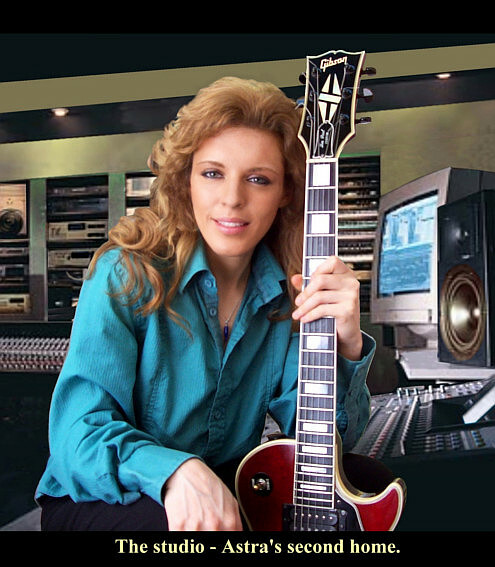 Taking her experience as a concert performer with her, Astra is in her element creating, singing, playing and producing in the recording studio. With the composer's gift expressed through instrumental expertise, she transforms abstract concepts into the entertainment we all love as the sound of songs and music. 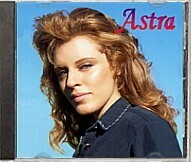 Above all, you hear Astra's great vocals. These vary sensitively according to the differing moods of the songs in combination with her lead guitar. 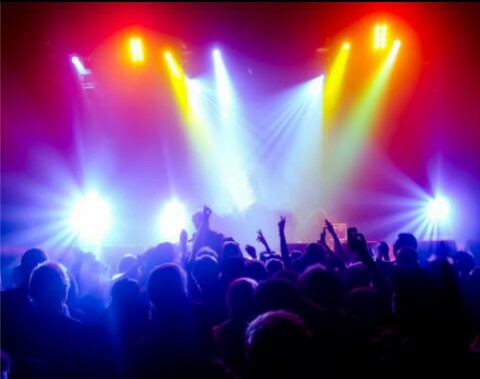 This is wonderful entertainment; music you want to hear over and over again. Astra is never happier than when creating and playing what she calls "real, hand-made music." You and I will get years of enjoyment out of it. 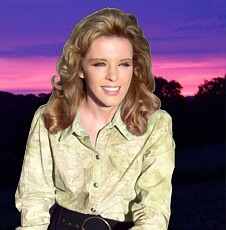 Laurence Jackson, MA. London & Palma. © COPYRIGHTS to all materials, written, audio, video and pictorial, on this website, held variously and/or jointly by The Owners, ASTRA and/or SRC, LTD.